Available in 0.2 ohm (+/-.2) resistance only. 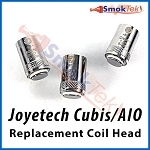 These replacement coil heads are intended for the Joyetech Cubis clearomizer. These coils are made using Nickel (Ni) wire and are to be used with Temperature Control devices only. The recommended temperature range for these coils after selecting the appropriate Ni mode on your TC mod is 500-550 degrees Fahrenheit (260-290 degrees Celsius). 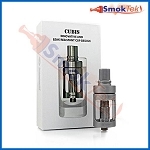 The Ni Cubis coils feature a blue band, so you can easily tell them apart from other Cubis coils. They yield excellent flavor and great vapor production! Changing the coil is very easy. Grip the top cap, unscrew and pull out the top section. You will notice that the chimney and coil will come out as one solid unit, leaving behind just the "cup"-like tank and base. Unscrew the old coil from the bottom of the chimney, and screw in a fresh coil. Please note: Any time you use a new coil, please make sure to prime it. Simply drip 2-3 drops of e-liquid in the center of the coil head. 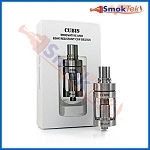 After inserting back into the tank, always set the Cubis aside for a few minutes, so the cotton wicking inside the coil has a chance to completely saturate with e-liquid. This will ensure that the coil will not burn when you fire your device. If you experience any gurgling noises after doing this, do not be alarmed. Gurgling noises are normal and indicate the coil is a little over-saturated - as you use the coil, the liquid will get used up and the gurgling noises will go away. 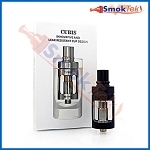 If gurgling persists, install the Cubis on your device and vape it a few times while holding your setup upside-down. Price is for a single (1) coil. Get a Quantity Discount when you buy 5 or more coils - view "Quantity Pricing" in the menu above. PLEASE NOTE: These are temperature sensing coils, and they require the use of a temperature control mod. Make sure that your device is set to the appropriate TC Ni mode when using Ni coils. 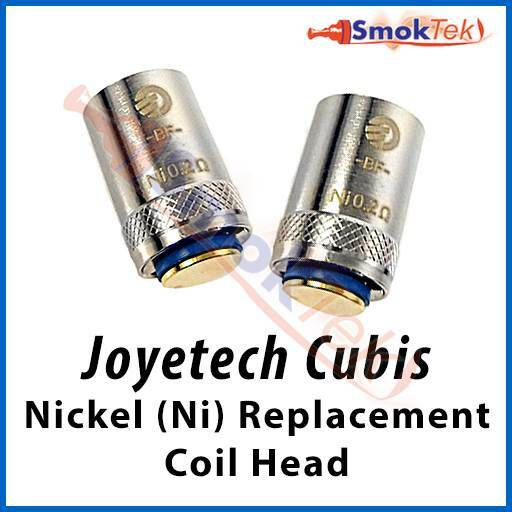 NEVER use Nickel (Ni) coils with regular Variable Wattage mods, mechanical mods, eGo batteries, or any device which does NOT have a circuit board designed for temperature control. It is for your safety! Gurgling noise: This is a sign that there is too much liquid in the coil head, and usually occurs after a refill. To minimize the chance of this occurring, after a refill, use a paper towel to wipe off any excess juice from the threading on the tank, cap and chimney of the Cubis. If gurgling occurs, fire the Cubis while holding your device upside-down. After a few inhales this way, the gurgling should disappear. When possible, keep the tank full and never below 1/3 full of eLiquid ("topped off"). This helps maintain the "vacuum" in the tank and keeps the coil wet, so it does not burn. Q: what is diameter of coil ? 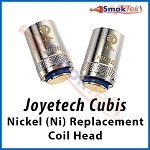 The Joyetech Cubis Nickel (Ni) Replacement Coil Head is approximately 9.9mm or 0.39" in diameter. Q: is this item available in .50 ?